The sequel to LG’s G Flex is rumored to be announced at the Consumer Electronics Show (CES) next week. Dubbed the G Flex 2, a report out of Korea claims that this phone will be the world’s first to run Qualcomm’s new 64-bit Snapdragon 810 processor and support Tri-Band LTE-A Carrier Aggregation. If all that sounds familiar, that is because a new variant of the Galaxy Note 4 that was announced for Korea is being upgraded with the same 810 chipset, though this report seems to suggest that Samsung may be using a custom 810 that is only 32-bit. The translation game is tough. Either way, we will gladly accept a new LG G Flex at CES. Last year, the G Flex (our review) was the star of the show with its massive curved Plastic-OLED display and self-healing back. While the phone was Nexus 6-sized, we are certainly interested in seeing how LG approves upon last year’s model. Will they go slightly smaller? 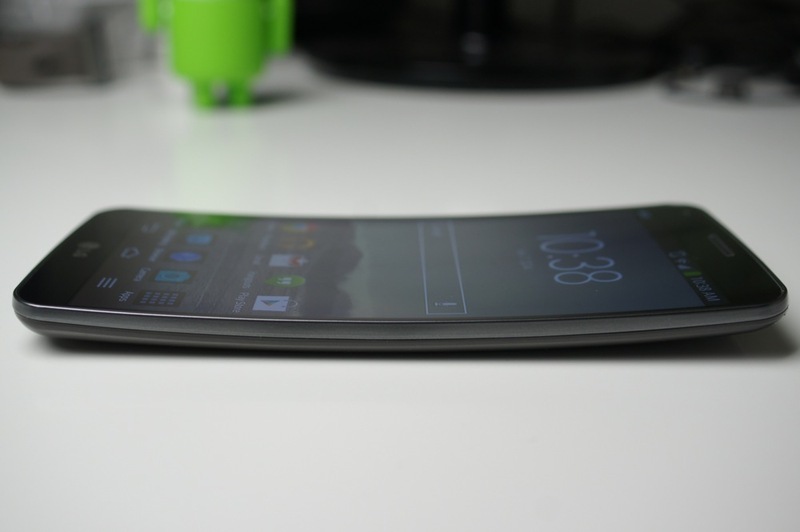 Will the curved display sport a higher-resolution? Will the self-healing back return? I don’t know, but I am actually sort of excited. LG got the curve right with the G Flex and also added in some really cool technology, it’s just that this phone happened to be a first attempt at something that tried to think out-of-the-box. A G Flex 2, powered by a Snapdragon 810, could be a real winner if done correctly.